There are a great many national symbols of Colombia - some are very well known, others less so. 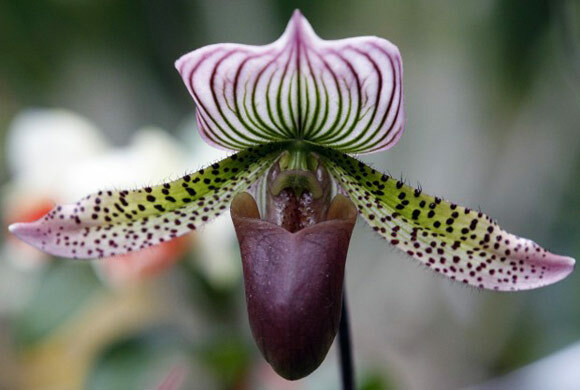 Colombia's national flower is the orchid. It is a beautiful pink-white flower found across large parts of the country. A great place to view orchids is at the Botanial Garden in Medellin during the Feria de Las Flores (Flower Fair) in early August each year. The botanical garden houses an 'Orquideorama' - a huge wooden structure under which can be found displays of stunningly beautiful orchids. Another of Colombia's national symbols is the Wax Palm tree (Palma de Cera). It can reach up to 60m tall and is the tallest palm tree in the world. The Wax Palms are found almost exclusively in the Cocora Valley in Colombia's coffee growing region. The best place from which to see the spectacular palms trees is the colonial town of Salento in the department of Quindio. Arguably Colombia's most recognised national symbol is coffee. Colombia's 'Eje Cafetero' (Coffee Region) is even a UNESCO world heritage site. There are many coffee producers and exporters, but by far the most famous is Juan Valdez, pictured below with his trusty mule 'Conchita'. Of all Colombia's symbols, undoubtedly the most expensive and sophisticated are emeralds. The country produces and exports some three-quarters of the world's emeralds. Most the mines are located on the Cordillera Oriental in Cundinamarca and Boyaca. As is the case for many South American countries, the majestic Andean bird is a Colombian national symbol. Several decades ago it looked as though the condor would become extinct in Colombia. But thanks to a reintroduction program, their numbers have increased once more. The famous beige and dark brown hat is a popular tourist souvenir and is one of the national symbols of Colombia. A good quality Sombrero Vueltiao is characterised by its flexibility. It should be able to be rolled up into a tight cyclinder without damaging the hat in any way. The hat originates from the Caribbean coastal region, but these days can be found all over Colombia. The Colombian flag is a tricolor of yellow, blue and red. It is an important feature of both official and unofficial events and occasions. 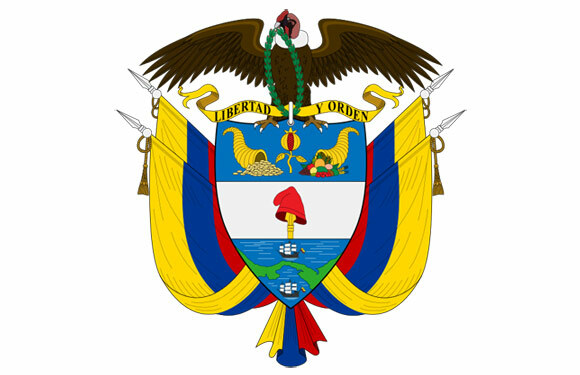 Colombia's official coat of arms features the Colombia flag draped over four spears and a majestic condor perched atop the shield. Interestingly, the shield bares the image of the isthmus of Panama which was belonged to Colombia until 1903.